Project obstacles and solutions: Elaine Rains Construction was building a custom house with a basement in Morrison, Tennessee. Roger's Concrete was subcontracted to pour the basement walls and floors. The walls required 44 yards of concrete. 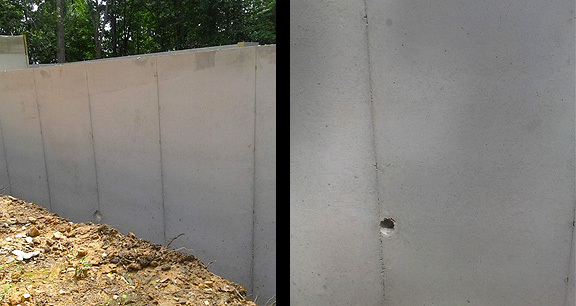 IMI supplied imix EZ Wall for the basement walls. Engineered for its ease of placement, imix EZ Wall allows crews to pour walls without adding additional water to the mix. It is designed to flow in between forms and consolidate with minimal vibration. When the forms came down, Elaine Rains said they were the smoothest walls she had ever seen. For more information on imix EZ Wall, click here.